How many sellers have posted ads on your site and how many are new ones can be viewed on the Sellers page. 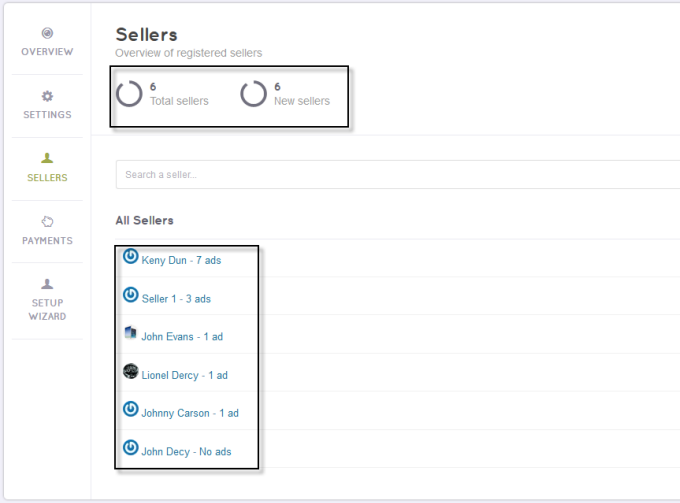 You can access this page by going to the backend and clicking Engine Settings > Sellers. Also, you may check the number of ads these sellers have already posted. Click the seller’s name or the number of ads to view more details. In the dropdown list on the top left, you can choose to see the payments based on the payment gateways. You can also choose to see all of them. You can use the search bar to search the payment you want to see.